316 Stainless steel weld nuts manufacturer – Kiesler Machine Inc.
For heavy duty industrial fastening applications, you require weld nuts that are oxidation resistant, and durable. All these demands are taken care of by Kiesler Machine. Inc., when producing stainless steel weld nuts. 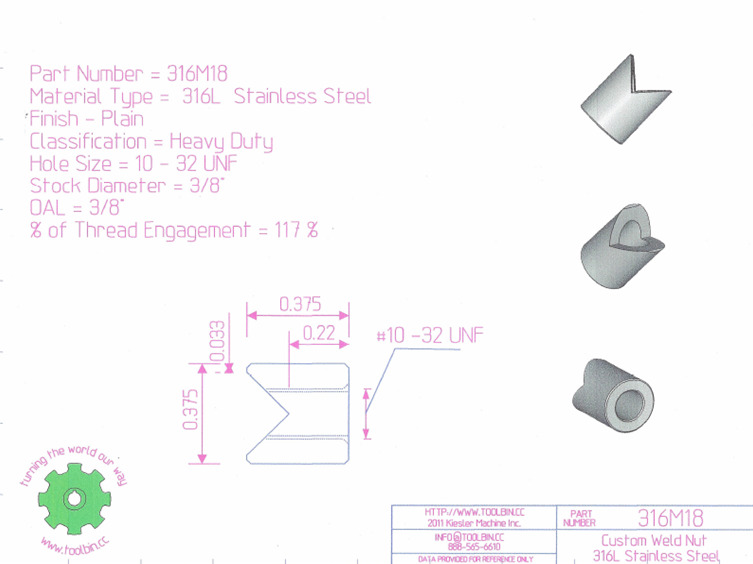 Our innovative and robust range of 316 stainless steel weld nut are offered with impeccable designs, featuring smooth finishes, and excellent wear and tear resistance. These weld nuts can be custom machined in preferred hole sizes, stock diameter, overall length, and % of thread engagement. Contact our customer care executives to procure 316 steel weld nuts for your applications.